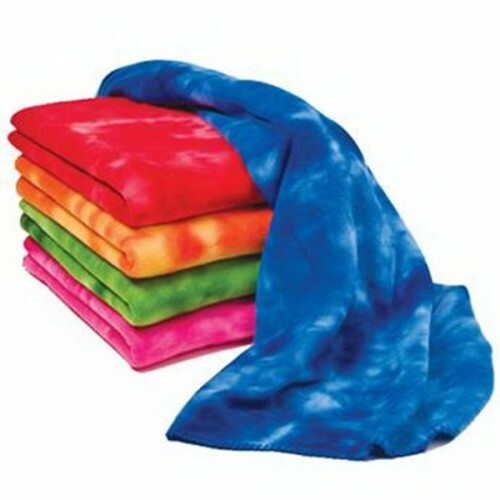 Keep them warm and cozy all with a fun tie dyed appeal with these fleece blankets. Each is made from 100% polyester fleece, measure 50'' x 60'' is machine washable, and features a whipstitch edge. 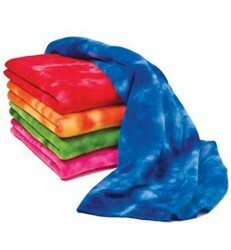 These thick and soft light weight fleece throws are a tremendous value, and a perfect for any event. Go with something everyone's sure to love! This product has a minimum quantity of 48.